Our very own Reverend Gary M Silvia catches up with director Khashyar Darvich, and talks with him about Dudeism and his new film. Dalia Lama Awakening is a roller coaster ride of ego, conflict, and finally synthesis as attendees to the Dalai Lama’s Renaissance Symposium try to work together in the spirit of compassion, but first they must overcome their differing world views. In 1999 the Dalai Lama invited 40 of the West’s most innovative thinkers to discuss ways in which to transform the world, and explore solutions to the problems that effect humanity. Consisting of physicists, spiritual leaders, activists, and other professionals the attendees all had their own ideas of what synergy would mean. Consensus seemed out of reach as conflict marked the beginning of the gathering. Tensions quickly rose and even prompted one of the speakers to channel their inner-Dude and audibly plea for everyone to “chill.” The symposium seemed lost for a time, but about three quarters of the way through the film there begins an awakening as egos are shed, and as people let go of attachment to their own agendas. Dalai Lama Awakening is a powerful ride of tense conflict, worry, and egocentrism that transforms itself into a moment of awakening. As those involved find their common ground and begin to realize the compassion they sought early on in the conference. Visually stunning, with moments of high drama, and finally a sense of awakening this movie is a ride for the senses and the mind. 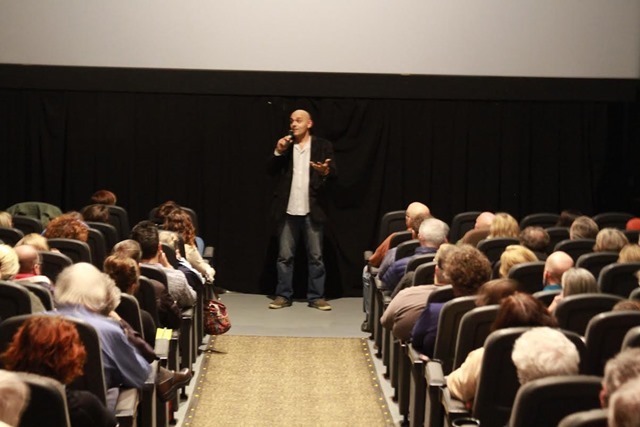 We sat down with the director/producer Khashyar Darvich after the show to ask him a few questions, he was more than happy to chat with us about his movie and all things Dude. Kashyar is a tall friendly looking fellow, with a generous kind nature that immediately comes across with gentle and considerate Dude-ness. 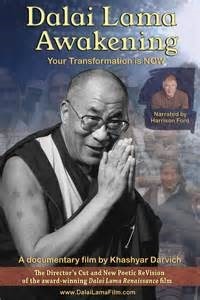 What quality of the Dalai Lama’s did you find most personally inspiring? Khashyar talked about how he found the Dalai Lama’s easy going fearlessness and his deep compassion truly inspiring in a way that cannot come through any way other than being in his presence. From what you’ve seen, how was the Dalai Lama’s message received? Khashyar told us that because the Dalai Lama is so egoless and authentic his mere presence was enough to sow the seeds of transformation. He said the DL is so sincere in his open-mindedness that it sort of rubs off on people. Would you hang with the Dude? Khashyar told us that he saw a Zen quality about the Dude, and that he admired the Dude’s take it easy attitude. He went on to explain how he knew of Dudeism, but wasn’t aware of how deep Dudeism’s connection to philosophy was. Saying he would definitely be taking another look at Dudeism. 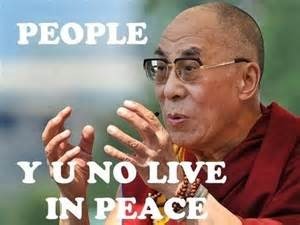 Was it easy working with the Dalai Lama? We talked about how easy going the DL really is, and how he doesn’t act pretentious at all, he comes off as just a regular guy. Khashyar indicated that working so closely with the DL was inspiring, that the DL has a certain inviting presence about him. Khashyar told us he was invited to film the symposium based on his previous work, he was recommended by someone he had interviewed in the past. It was all very last minute, that he was given only a very short time to prepare and travel to India, but he couldn’t pass up the opportunity. Khashyar thought for a moment about this, and then told us that he feels as though he was called to be a film maker, to help people find ways for their own transformative experiences. He sees this as his great service to the world, essentially to get the take it easy vibe out there in his own way. What worries him, he told us, is when it seems in question whether he’ll get the opportunity work on a project, such as when funding is hard to come by, or some other obstacle threatens to derail his plans. However, he told us he has been fortunate to have been largely successful at following his purpose, and for that we are glad. 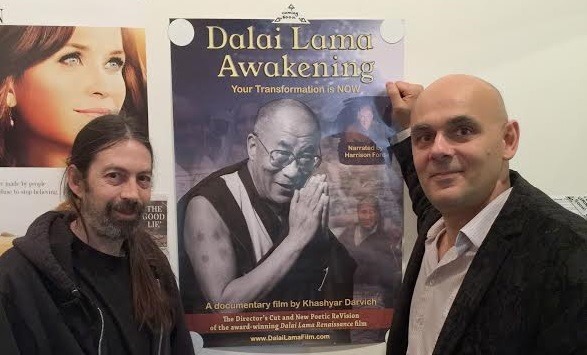 Dalai Lama awakening is a stirring journey of transformation for those involved with the film, and also for the audience, that moves from conflict to synergy and awakening. This film could be a great source of Dudeist contemplation, if you get the chance we would recommend seeing this movie. Next Post: McMindfulness: Metaphysical Happy Meal, or Junk Soul Food?